ADH.BRICOFACIL UNIVERSAL CEYS 30 ML. ADH.CEYS ALTA TEMPERATURA 12 ML. ADH.CONTACTCEYS SPRAY CONTROL 400 ML. ADH.PLASTICOS RIGIDOS CEYS 30 ML. 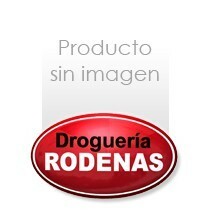 ADH.POLIESTIRENO EXPANDIDO CEYS 70 ML. ADH.SELLADOR TOTAL TECH TUBO 125 TRANSP. ADH.SUPERUNICK PODER EXTREMO 3 GRS. ADH.SUPERUNICK PODER INMEDIATO 6 GRS. ADHESIVO EN BARRA CEYS 20 GRS.